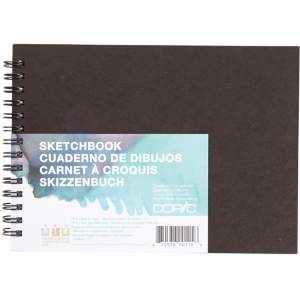 Spiral-bound sketchbook is landscape oriented with binding on short side. * Inside is thick all-purpose 70 lb. white paper. 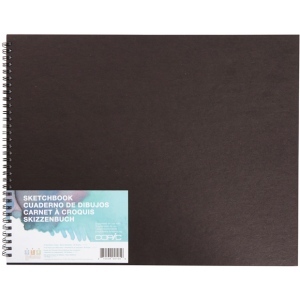 * Great for markers watercolor and other mixed media work.